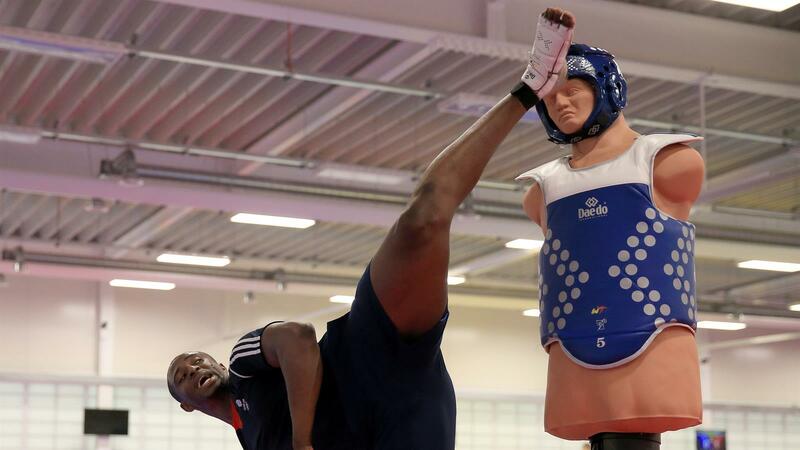 With a ‘fantastic four’ of medal prospects heading to the Rio 2016 Olympic Games and a new £2.7million National Centre in Manchester, it’s fair to say that taekwondo in Great Britain has never been in better shape. And while Rio-bound heavyweight Mahama Cho is proud of how far the sport has come, it is the prospect of an Olympic medal come August that ensures there is no complacency in his laser-focused preparations. Cho was named alongside reigning -57kg Olympic champion Jade Jones, current +67kg World Champion Bianca Walkden and -80kg London 2012 bronze medallist Lutalo Muhammad in Team GB’s taekwondo squad earlier this week.